Kromhounosra Khmer Angkor (Srasor Khmer Angkor Co., Ltd.), or the SKA was inaugurated in mid-2008, a dark period of steam crisis came. Enter into business ones never seen before, all founders of the heart burn in the trial took a great risk involved in wine production craft ancient Khmer count as the company's first product. Khuong Meng as and assistant major is his wife - Ms. Lim Lima, in the business plan of the new study plans to step to create a raw, real (yeast) of the production of wine Khmer filled with quality that has almost been forgotten fate was already in the country. Every time it comes to the word "wine Khmer" people most prominently put conclusion includes a negative reached the quality of production as wine awful food, dirty and full of the accident, or could hardly say that as food for humans levels low buy used. The scandal, which lasted a long time associated with wine starting from the lack of morality of the majority of producers living in poverty, lack of education, economic status from peasants who always associated livelihoods of brewers with family pig. Those manufacturers are not as concerned about the quality products because good quality wines must start from the best raw materials from nature that are difficult to find combined the patience to wait that most people can not wait. Other producers who lack virtue and knowledge consecutive operations such as power here until the scandal of wine Khmer comprehensive coverage almost existential mood of the Khmer people. In this context, it is not easy, but that investors were able to change the user's imagination in the region to turn to trust the product quality homemade wine Khmer well as international standards. Because production of the wine company's SKA require a long period in exposing up to 1 year of production line 1 and because of the size Craft's company wide as the industry of progress recently Meng as decided to add a category of products other new entered into production, the company targets to pull profits from other products these as instruments sustain each financial internal. 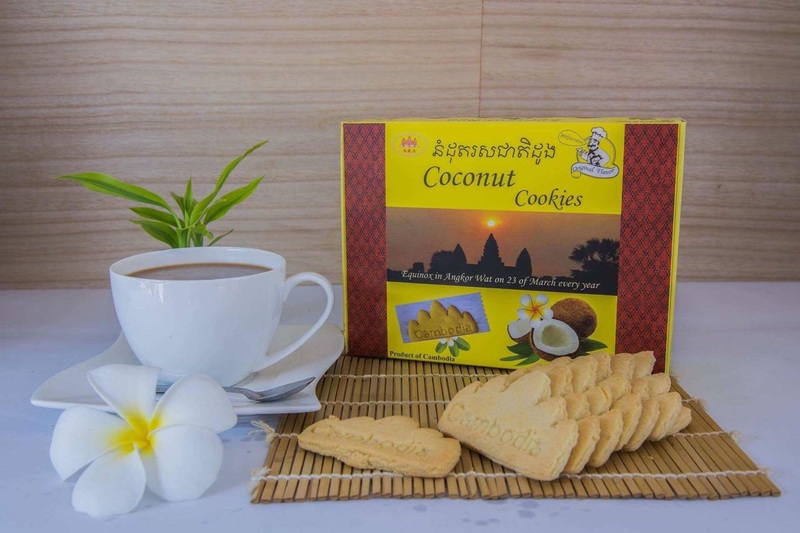 New products that have been added to the chain SKA, such as soap, toothpaste, its smells baked Khmer Angkor chocolate Khmer Angkor dried ripe fruit (which is easily available domestic season each), including type snack different than 100 As filthy today. Couples who have special abilities respectively in the business dynamics that are grabbing market Cambodia strongly (especially Siem Reap Sihanoukville and Phnom Penh) showed the success of other more that the two men get past such as strategic competitors in the market by focusing on product quality, patience to accept the record-low minimum effort taking care of customers every port allocation. Successful first stage of the company is to capture the heart target customers, which is the foreign tourists visiting Siem citing the product seems to act as a souvenir More products excise because of design product filled with art, culture reflects identity Khmer real (see photo in the album attached to). Power here, come Fame products also spread reflected came Domestic through foreign guests who are staying temporarily in Siem Reap, such as Korea, Japan, China ...... etc., until this information assimilate fully in the heart of ethnic Khmer the land ourselves, and fame began bolstered spread gradually in the Kingdom as a whole. In addition to the achievement of those filled with pride for wine captures the degree of product quality international standards (the ISO) to be eligible to export to international markets has already been implemented and are awaiting the announcement of results. Check out product images and manufacturing company in Corpus photo album (Photo Gallery) of the website!